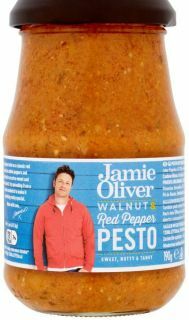 This genius twist on a classic red pesto has added peppers and walnuts for an extra-sweet and nutty crunch. Try spreading it on a cheese sandwich to make it something really special. Sold in a case of 6 jars. 190g per jar.